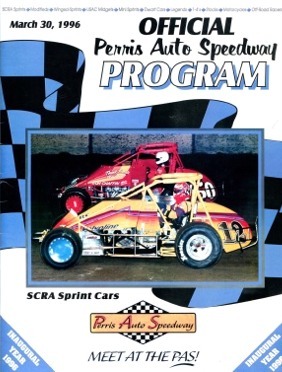 Built in 1996, Perris Auto Speedway (The PAS!) is a state-of-the-art racetrack. 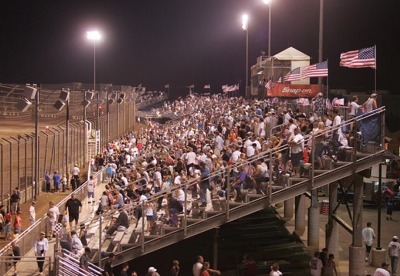 The 1/2-mile clay oval features a raised back straightaway for easy viewing of the cars over the full-size trailers, that pit within the inside of the track so you can see all the action. Over 60,000 Watts of audio power for easy listening even during races, and for our Famous Dance Contest that takes place before the "A" mains. Our front grandstand is assigned seating at most events and the top rows have backs to them. 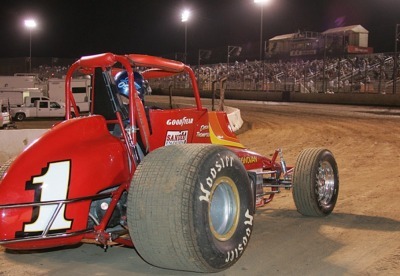 Perris Auto Speedway runs all types of race cars from the blazing speeds of the USAC/CRA Sprint Cars to the affordable American Factory Stocks.